It’s no secret that children have more fun than anyone but it’s also no secret that Whistler is a sort of Never-Never Land for people who don’t really want to grow up. “It’s like a town full of dudes who think they’re Peter Pan,” said almost everyone who’s ever dated a Whistler local. And to prove those sentiments look no futher than “The Manboys”, some of the most beloved and coolest cats in town. But Whistler is equally amazing for actual children too. Here’s some ideas for summer fun with the kids. 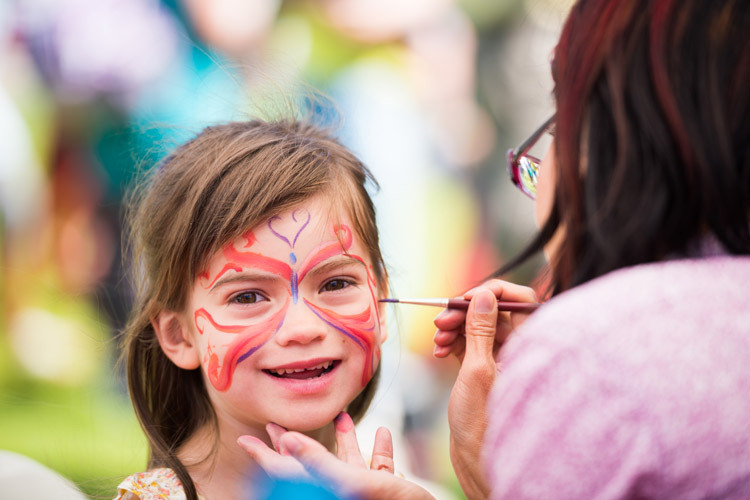 There’s a ton of events happening everyday in Whistler but the kiddie highlight of the summer is always the Whistler Children’s Festival held each July in Whistler Olympic Plaza. Kids and parents can partake in a number of activities ranging from postcard making to balloon animals to a costumed creature parade. 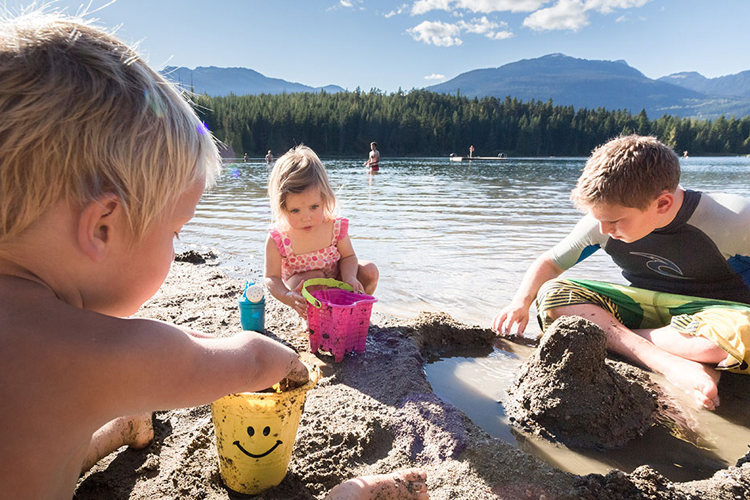 Throw in a plethora of free concerts and live entertainment plus all types of crafting workshops and tons of free giveaways and there’s a reason the Whistler Children’s festival is known as the “two funnest days of the summer!” (Kids don’t care about grammar and why should they? School is out for summer). 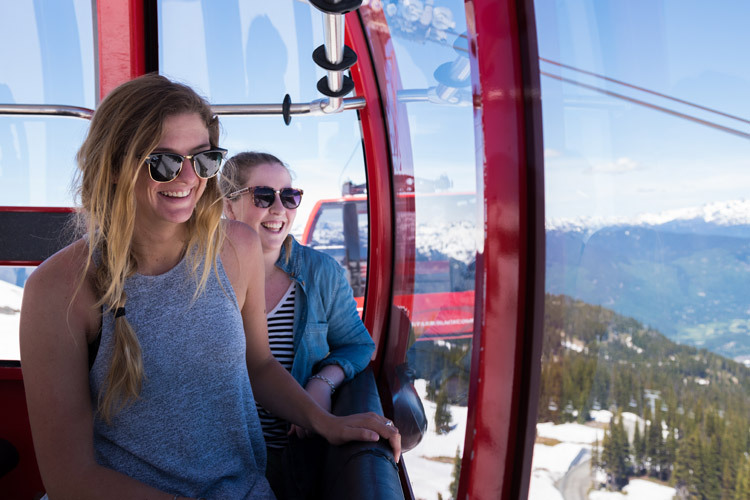 Whistler’s childish summer fun stretches far beyond the Festival however. 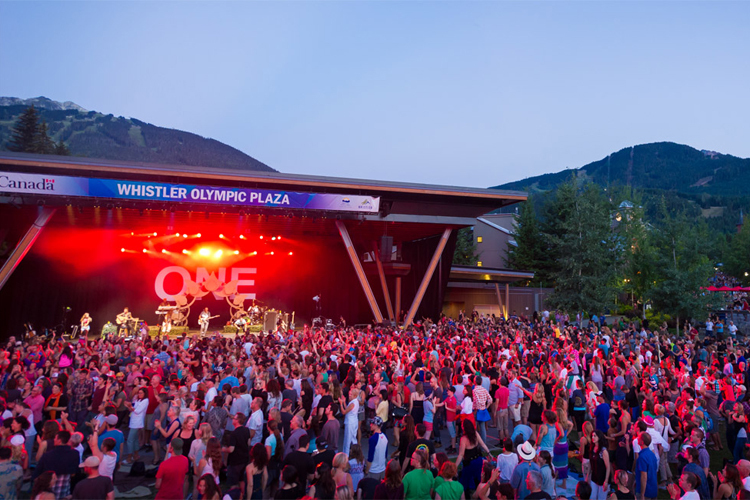 There are jugglers, clowns and random entertainment taking place throughout Whistler Village all summer long plus a series of free concerts on the grassy lawn of Whistler Olympic Plaza. 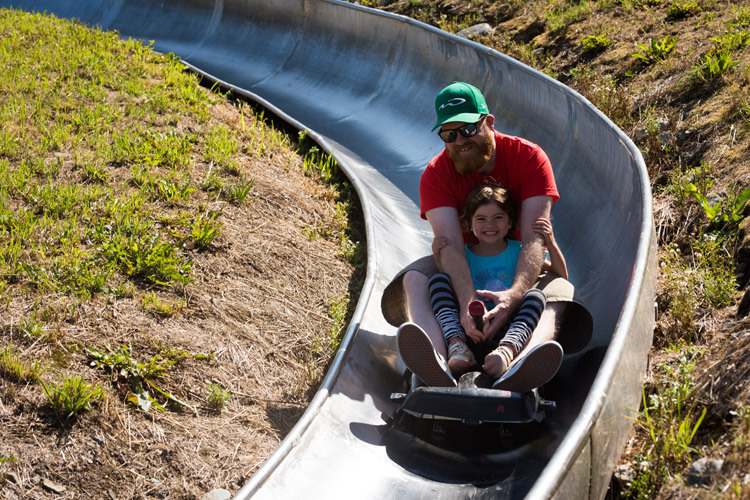 The Family Adventure Zone is open every day through to September at the base of Blackcomb Mountain and includes go-karts, mini putt, bungy trampolines, bouncy castles, a human gyroscope and a crazy giant floating bubble ball that allows your kid to run like a hamster while also walking on water. Merlin’s patio is right there too for anyone that needs a frosty refreshment from all that parenting (or snacks for the kids) and there’s a couple of craft beer pubs for adult refreshments should the going get tough. The Whistler Farmers’ Market also happens at the base of Blackcomb every Wednesday and Sunday and kids love the snow cones and kettle corn. Artistically inclined kids who like to create with their hands will dig the stone art classes at Fathom Stone Gallery. For anywhere from one to eight hours kids can work with professional soapstone carvers to create their own unique inukshuks, carved bears or pretty much anything else. Drop-ins are welcome or just swing by with the kids to watch the pros carving live. Check out this Kid’s Carving promo video starring Olympian and frequent Insider contributor Julia Murray. Another perfect rainy day activity is to take the kids rock climbing at The Core. Kids aged 4 and up can climb indoors with trained professionals who will teach them safety basics and get them cranking out the moves. Sessions are sold in one-hour blocks and the more little climbers you drop off, the cheaper it is! Ever met a little kid who doesn’t lose their marbles when they see a waterpark? Me neither. 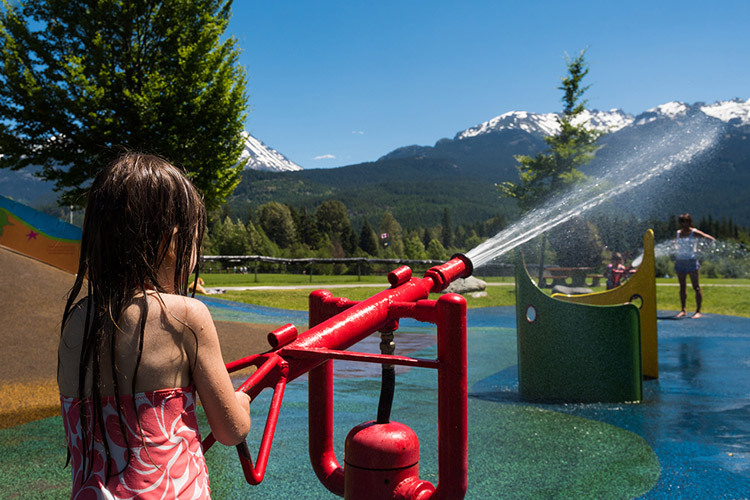 Whistler has a pretty sweet splash and spray park out behind the Meadow Park Sports Centre. Randomly timed sprinklers and cascading water features are paired with the requisite water cannons to make for a wet and wild afternoon of awesomeness. Best part is the waterpark surface is that soft rubber composite stuff so when your kid slips and falls (pretty much inevitable) they literally bounce right back up and keep on givin’er. The Whistler Skateboard Park is located right near the Village where the Valley Trail meets the day parking lots. Recently revamped with a classic speed line/bowl and a big sunny street zone the young skater in your life should be able to keep the stoke going all day long. The kid’s Flo Riding bike skills park is conveniently located right next to the Skate park for kids that prefer dirt to pavement. And the rushing waters of Fitzsimmons Creek provide a bit of natural air conditioning for the whole zone. Check out this video of Whistler local Braedon Wheeler ripping the park. Other kid-friendly options include a host of unique playgrounds (the inclusive playground at Whistler Olympic Plaza is massive! 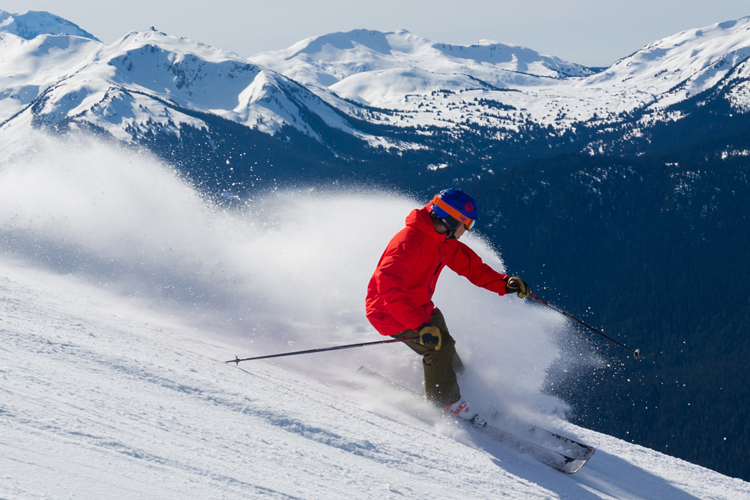 ), incredible beaches, and most of Whistler’s regular summer activities. 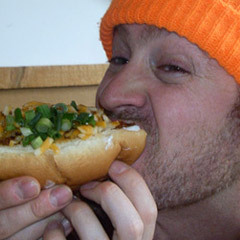 Hit up Whistler.com for inspiration.